When I was a young cook, I fancied myself mastering things such as yeast breads, summer preserves, and berry pies, delicacies that required time and patience to prepare. I envisioned a kitchen lined with blue ribbons from county fairs, living in a place where my preserves were recognized at least three towns over. Silly dreams of a city girl, and the truth is time constraints lead me to shortcuts every day, especially in the kitchen. For this week’s #SundaySupper, we’re going to slow things down and preserve the bounty this season brings. Stacy from Food Lust People Love and Tara over at Noshing with the Nolands are hosting this week’s event, and I’ve got a quick and easy pickle recipe that you’re going to love. 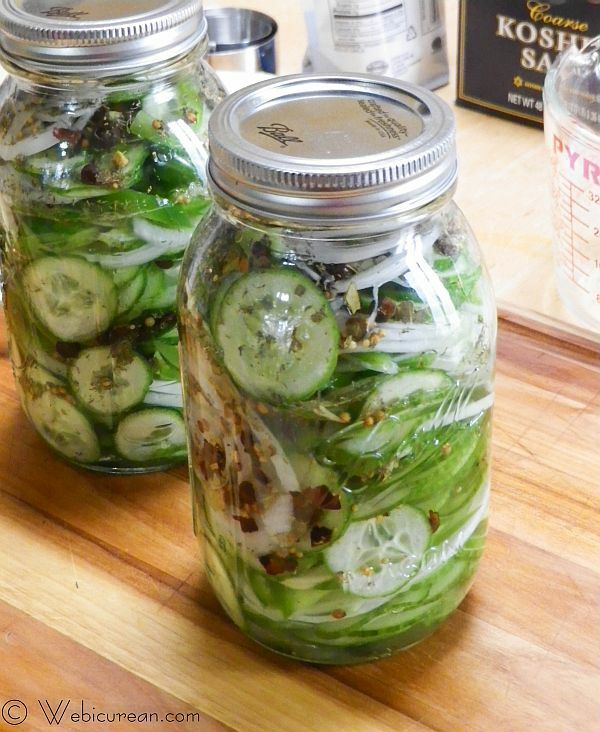 Pickling is an age-old method for preserving foods. In fact, pickled cucumbers have been around since ancient times, dating back to the days of Mesopotamia. Christopher Columbus introduced pickles to the New World, and by the 17th century, pickles were being produced commercially out of Virginia. Fast forward to modern times, more than five million pickles are consumed annually in the U.S. alone. That’s a whole bunch of pickles! 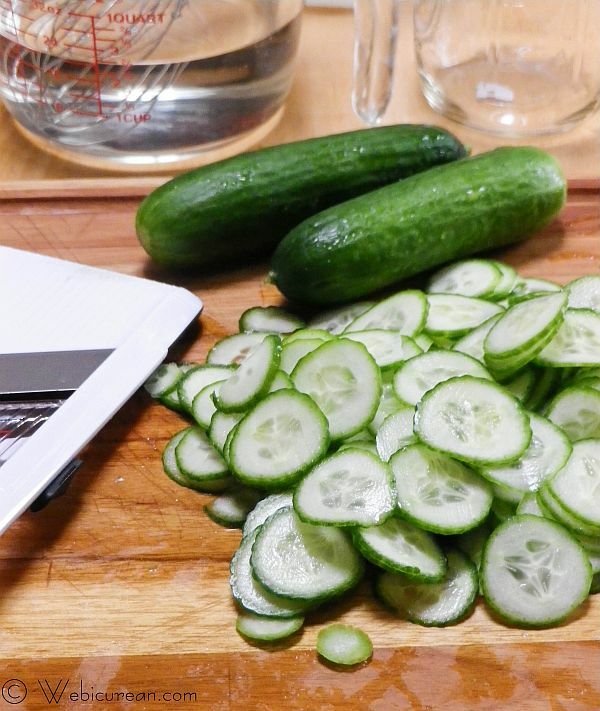 While the process of pickling is often thought to be a laborious task involving sterilized Mason jars and hot water baths, it’s also possible to make pickles by using a simple brine and then refrigerating. As you can imagine, we’re going with the refrigerator method today! 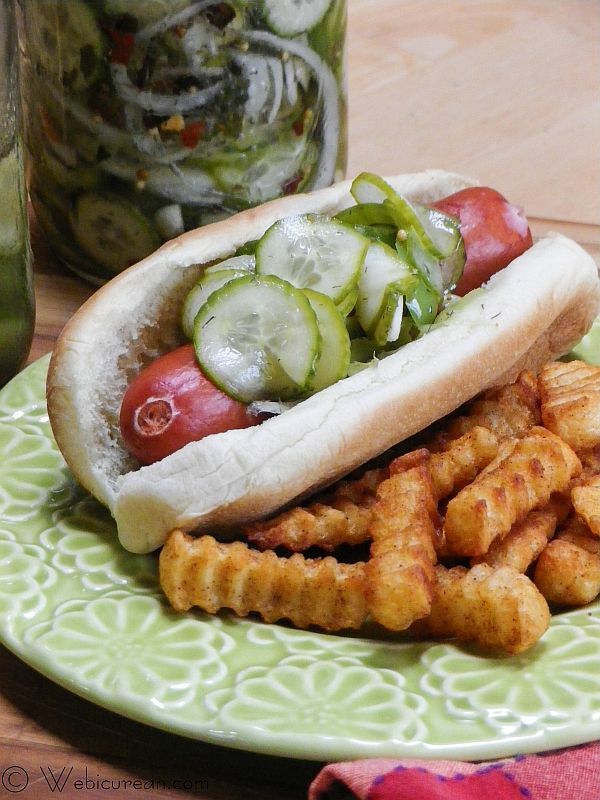 Even though this method leads to a shorter shelf life (about six months), these pickles are so irresistible, the entire batch may disappear in a matter of days. This recipe was adapted from Smith & Hawken’s Gardeners’ Community Cookbook . Whisk together the vinegar, salt, and sugar, until the sugar dissolves. I do this in my large measuring cup so it’s ready to pour. Slice all your veg about 1/8-inch thick. For this I used my OXO hand-held mandoline set on 2. Distribute the veg equally between the two jars, layering with the spices. Then, pour the vinegar mixture over the top, divided equally between the two jars. Secure the lids, then place in the refrigerator for about three days, giving a good shake each day. We started eating them about six hours in, and they only improved each day. Whether you pile them high on sandwiches or toss them in salads, they’re SO good, you may never go back to store-bought again! Cucumbers sliced paper thin along with bell pepper, onion, and garlic make these quick and easy refrigerator pickles out of this world. Prepare Mason jars and lids for use by washing in your dishwasher. 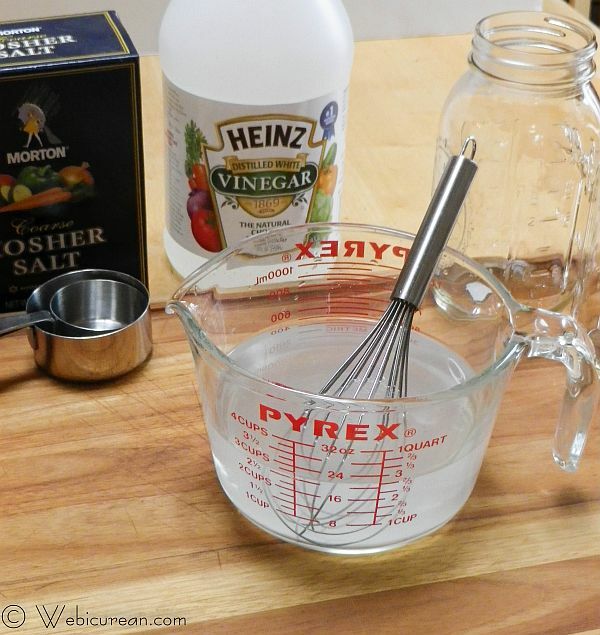 In a medium bowl, whisk together the vinegar, salt, and sugar, until the sugar is dissolved. Set this aside. Layer the cucumbers, bell pepper, onion, and garlic the jars, dividing equally between the two. Sprinkle 2 teaspoons of pickling spices and 1½ teaspoon of dill weed in each jar. Divide the vinegar mixture in half, pouring into each jar. Note, the liquid will not cover the vegetables at first, but they will release liquid as they cure, and the liquid level will rise. You can substitute this for another vinegar, however, make sure it has at least 5% acidity in order for the veg to properly preserve. If you are unable to find Kirby cucumbers, small, young cucumbers are a good substitute. Let’s see what the others have done with this summer’s bounty! Vegan Strawberry Ice Cream from Killer Bunnies, Inc.
Count me in for any quick and easy pickle recipe you’ve got, Anne. These look crunchy and delicious! Yum! I have to try this! Love pickles! Love how easy your recipe is too!! I can see digging into the jars before the 3 days were up. They look too good to have to wait to enjoy them. Lovely fresh topping for sausage or just to eat as a side dish! Love that I have another refrigerator pickle to try! I love sweet pickles! I love a plain tomato sandwich with mayo and few sweet pickles, it perfect! This is perfect for that! I could easily devour an entire jar of these to my face! It’s funny, I like picklED food, but I don’t actually like pickles. I’m strange. HOWEVER, I think it’s awesome how easy it is to make your own pickles at home. This totally reminds me of days spent with my grandmom in Portugal — love the food memories. I so want to snack on these pickles right now! I always envisioned winning prizes too, but I don’t even know where to enter recipes. 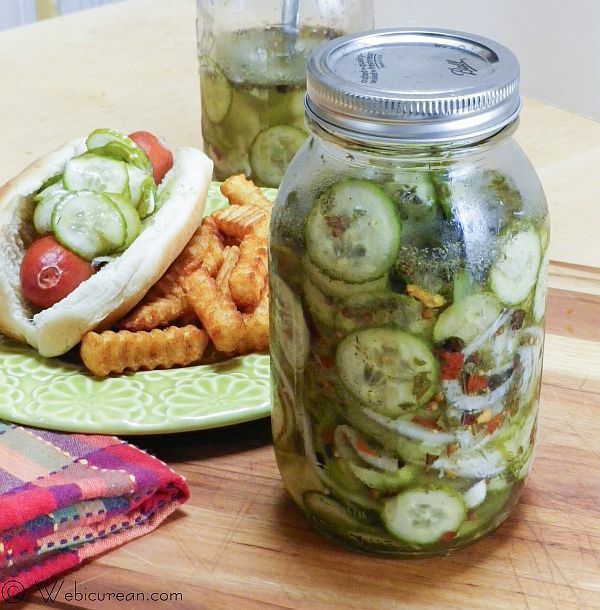 I never knew it was so easy to make pickles – thanks for a great recipe! I love pickles but don’t like canning so this is perfect for me! Thanks Anne! I love pickles in any way, shape, or form … and yours look divine! Wow I love how easy this is! They wouldn’t last 6 months in my house thanks for sharing! What a great idea for a small batch of pickles. No canning is quite nice! I love the pairing of cukes and bell peppers!! : ) thanks for sharing! Alice recently posted..Blue Ribbon Apricot-Amaretto Jam! I wish my bf liked pickles 🙁 I would love to give your recipe a try! I really need to try making pickles – it has been on my to-do list for a long time. Great post! 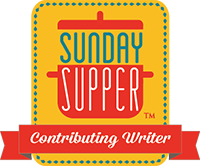 Preserve your harvest with our Saving Summer #SundaySupper Recipes!